A Fun Camp for Blind and Visually Impaired Youth! 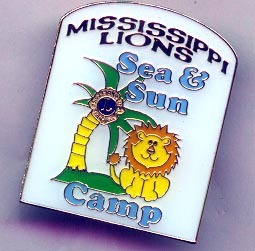 A member of the Lions of Ms Activities Corp. 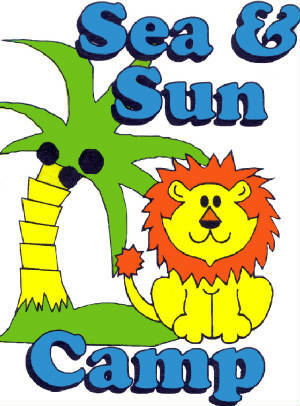 The Sea and Sun Camp provides the campers a weekend of life's beautiful experiences. All activities are modified to meet their needs so each camper is allowed to be a child, as opposed to being a child with a handicap. Every child is able to participate in every activity. Lions Nancy Ann Sherman and Greg Crapo had a vision of a place where all children would be equal. The vision became reality on a Friday afternoon in May, 1997. This was the day the first visually impaired children arrived for the Inaugural camp. Actual Size: 1 1/2" x 1 1/4"
To provide children with visual impairments the opportunity to interact with their visually impaired peers through socialization and recreational activities.